The roots of American music run deep in North Carolina. Musicians from North Carolina have made brilliant, groundbreaking contributions to many of America’s most important musical genres: John Coltrane, Nina Simone, and Thelonious Monk in jazz; Charlie Poole, Earl Scruggs, and Doc Watson in bluegrass; Elizabeth Cotten, Blind Boy Fuller, and Etta Baker in Piedmont blues; Reverend Faircloth Barnes and Shirley Caesar in gospel; Maceo and Melvin Parker, Nat Jones and George Clinton in funk; and Link Wray, Roberta Flack, James Taylor, and Don Gibson in rock, R&B, pop and country. Today new generations of North Carolina musicians are building on this rich legacy by making their own mark in hip hop, indie music and more. This year we tell that story. 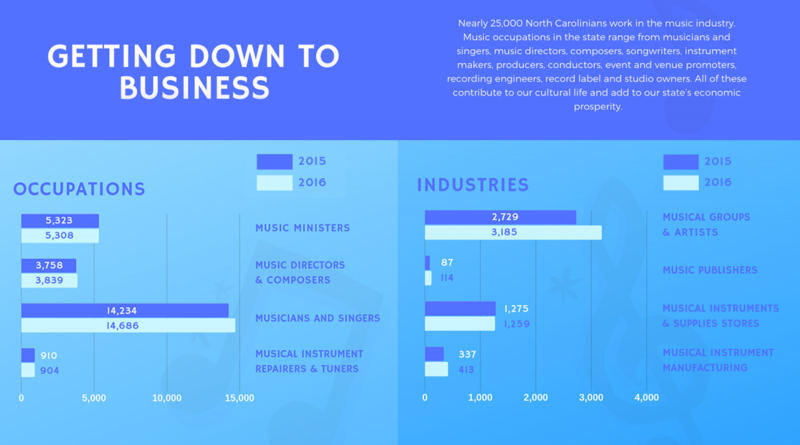 The State of North Carolina, through the Department of Natural & Cultural Resources and the North Carolina Arts Council have developed The Year of Music campaign: Come Hear NC. During 2019, we will celebrate the composers, musicians, studios, venues, instrument makers, labels, record stores, promoters, places, listeners and communities who create, support, and sustain our music through daily web-stories, artist interviews, special commissions, North Carolina musician stages at major festivals, educational programming and performances. Join our campaign by subscribing to our monthly newsletter and to our RSS feed for daily posts, podcasts, videos and trivia about North Carolina music. Share your favorite North Carolina music memories, artists and venues by tagging us on social and using #ComeHearNC and join us at one of our special music events. North Carolina has long been an innovator of musical institutions. North Carolina had the first state-supported orchestra in the nation, the North Carolina Symphony, and the Blue Ridge Music Trails of North Carolina and the African American Music Trails of Eastern North Carolina are among the first cultural tourism projects that focus on music in the country. 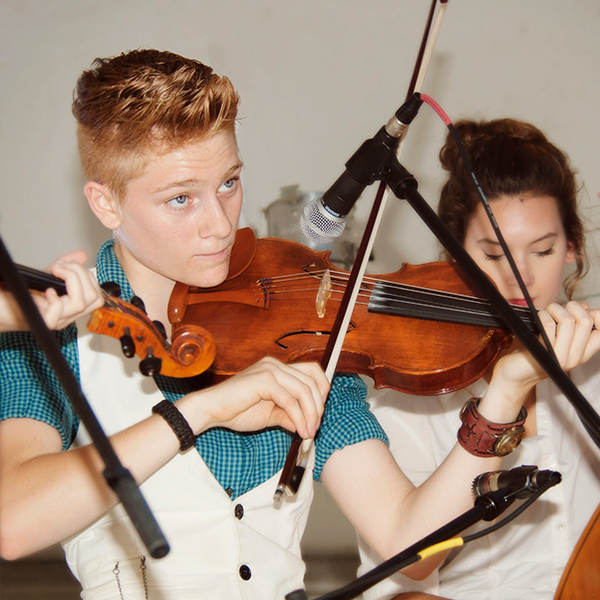 The N.C. Arts Council has supported all forms of music for more than 50 years through grants to arts organizations and artists; created the North Carolina Heritage Award which has recognized traditional musicians with lifetime achievement awards; developed cultural tourism music trails; established Traditional Arts Programs for Students (TAPS) which matches master musicians with young learners to sustain our state’s grassroots music heritage; and created an environment where all forms of music are supported and nurtured. Learn more about our music history here.